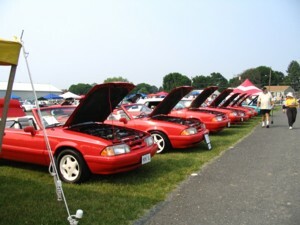 The second ever gathering of Mustang LX 5.0 Convertibles is being planned for the 2008 Carlisle All-Ford Nationals from June 6-8, 2008 in Carlisle, PA. Following, is information that should answer some questions you might have. It is still very early in the planning process so everything is not yet known. Read the Carlisle 2008 section of "The Den" for updates. Also, see the recap of the 2007 Carlisle event in "The Den"
I had done some geographical analysis of the registrations to this site and I think that Carlisle, PA provide a location that is within a reasonable distance for around half of the registrants. So, Carlisle is the place! Carlisle is "club friendly". If we register 25 or more cars they will provide a tent to serve as our gathering point. 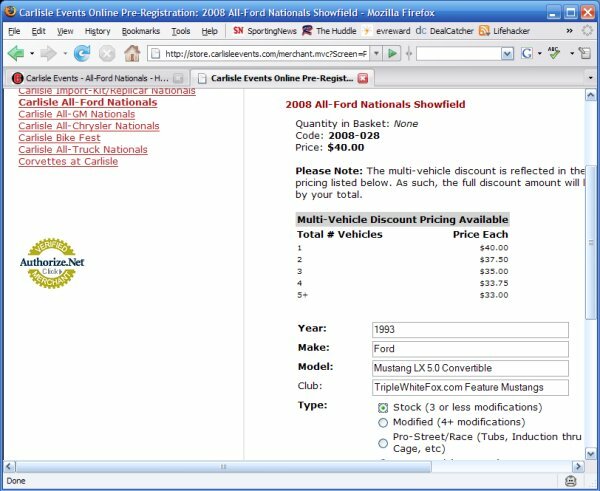 Registration is open for Carlisle All-Ford Nationals 2008! 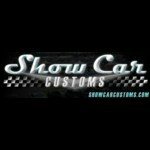 Go to www.carsatcarlisle.com to register. When you register, you will need to communicate to them that you are part of triplewhitefox.com. This will help them to group us together. Please let me know once you have registered so I can keep track of how many people are going.